We're very proud of the extra things we do to help! 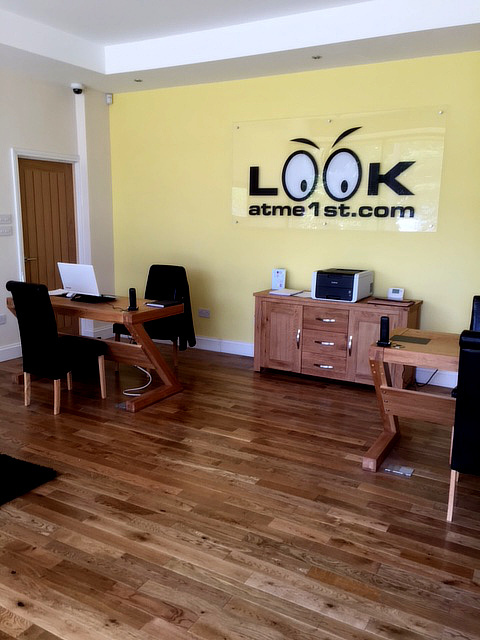 Lookatme1st.com Ltd is a local company, which has been involved in both Letting and Property Management for over 25 years. Our professional team of experts specialise in letting homes within the local areas, as well as towns and villages in Suffolk, Norfolk and Cambridgeshire. With over 25 years of experience within the letting and property management business you can be assured that your home is in good hands. Don’t just take our word for it, ask our customers! Whether you are an individual client, a company or have a portfolio, we fully understand the importance of your homes and the rental returns on your investments. This is why we treat them like our very own - always! Our customers are our business and we put you first every time. This is our commitment. If you have any questions about our service then please contact us online or our free phone 08000 407 411, we’d be delighted to speak to you and help. We are different at Lookatme1st.com. We strive to create the perfect partnership between ‘Agent and Landlord’ and ‘Agent and Tenant’. We’re confident we get the balance just right - to ensure all customers feel important at all times. Our Logo - What an eye catching, head turning logo it really is! Most of our enquiries start with ‘Are you the letting agency with the eyes?’ - Yes we are!! We are proud of our logo, so if you see us passing by in our eye catching cars and vans point us out and give us a wave. Our office is just as eye catching too! Drop in for a cup of tea or coffee and a chat. Paula and the team at Lookatme1st.com offer a superb property letting service that is second to none for both Landlords and Tenants alike. My last three tenants have all been found for me with barely a fortnight’s break between any of them. The check-ins, check outs, inventories and inspections are spot on and always managed seamlessly. They even offer a personal touch such as a fuel oil purchasing consortium and recommendations for tradesmen and gardeners etc. At my last tenant changeover a family bereavement meant I couldn’t even get to the property but I needn’t have worried, everything was taken care of for me with usual efficiency and timeliness that I have actually now come to expect!